Happy New Year! It is 2015 and everything is off to a fresh start. It feels as if the future is now and that anything is possible. Ok, so they’re still working out the kinks for the hoverboards we were promised in Back to the Future Part II; but technology is getting closer every day. That said, there is a a lot to look forward to in the year ahead of us. A new year comes with new challenges to face, new responsibilities to take on, and new ways for mother nature to make her presence known.Yes, the threat of earthquakes and their subsequent hazards and damages is still very real and very scary if not properly planned for. If you have been following the news recently, you might have heard about the new “Resilience by Design” plan that Los Angeles Mayor, Eric Garcetti, and his right-hand researcher, Dr. Lucy Jones, are planning to put into effect. This plan is to ensure the safety and security of the infrastructure of the city of Los Angeles should the famed “big one” strike. While that is all fine and good for the city, you might be wondering what you can do as an individual to make sure that you will be safe in the event of an emergency. With that, I present the following five tips for safety and security for your home and family in the new year. An earthquake safety kit is easy to assemble! An emergency preparedness kit is an absolutely necessary piece of the survival puzzle. If you do not have one already, it’s time to start stocking up. Water, non-perishable food, and a first aid kit are just a few of the items that you should be keeping in an easily reachable location should any sort of disaster strike. In the event of a mandatory evacuation, you will be happy that you planned ahead and packed enough supplies to last you and your loved ones for the days to come. 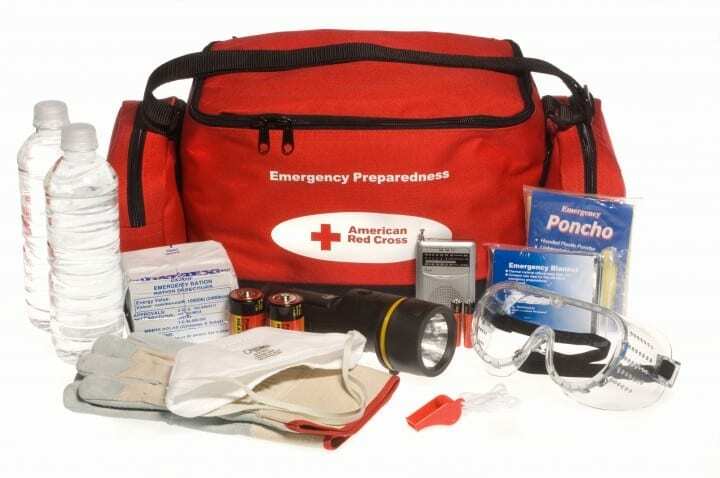 For more information about how to assemble a disaster kit, check out the Red Cross website for a list of recommended items. Have a plan to meet up if you get separated. Taking the time to make a plan with your loved ones will ensure your safety in the future. Sit down together and discuss an evacuation route in the potential event that you will need to leave your home.You should also determine a convenient, safe, and easy to remember meet up spot at which to rendezvous should you get separated during a disaster. For more information on disaster planning with your family, check out the Ready website at http://www.ready.gov/make-a-plan. Fresh batteries for a fresh start to your year! Another vital way to ensure your safety in the event of an emergency is to make sure that all of your emergency equipment is in good, working condition. This means checking replacing old batteries in your flashlights and smoke detectors. 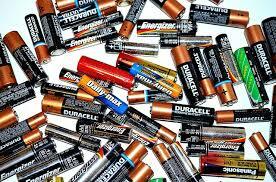 Additionally, you should keep spare batteries in your emergency kit (as mentioned above). Also, it is imperative to check on the food and water supplies (as well as any necessary medications) in your disaster kit to make sure that everything is up to date and safe for consumption. Should the earth start rocking and rolling, you will not want to be dodging falling objects. 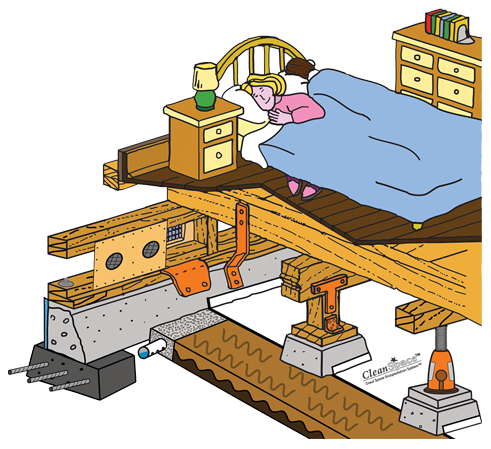 Any heavy items that could tip over and fall should be bolted down so that they will be able to withstand the force of an earthquake’s shaking. If you’ve ever heard the expression, “between a rock and a hard place”, you know that it is not a place you would want to be. 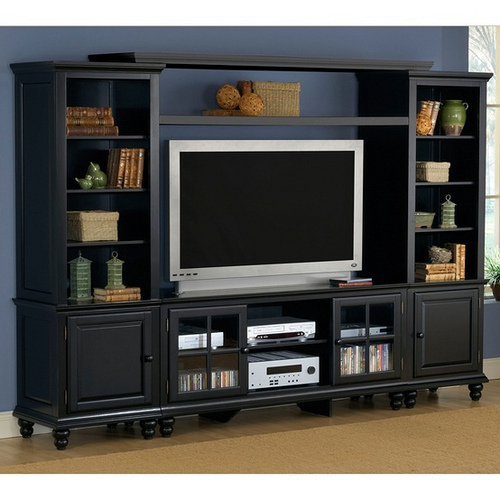 Making sure that heavy furniture is secured may prevent you from being trapped in the event of a quake. You can rest easily in a retrofitted home! If you want to make sure that your home will be the safest it could possibly be in the event of an earthquake, a necessary step to take is to get your home retrofitted. Knowledgeable inspectors can come and take a look at your home and determine the state of your foundation and whether or not is in need of repair. Furthermore, skilled professionals can reinforce the bolting of your home to its foundation so that it does not slide off or collapse in the event of seismic activity. To learn more about home retrofitting, contact the experts at Weinstein Construction Company and schedule a free inspection today!